Click here for the winner of my Cottage Charm Giveaway! I have always wanted to have a giveaway and what better time than when Twice Remembered is holding Cottage Charm Giveaway? I'm afraid that my giveaway is not very colorful, but I tried to stick with a neutral palette so that it would appeal to more of you. 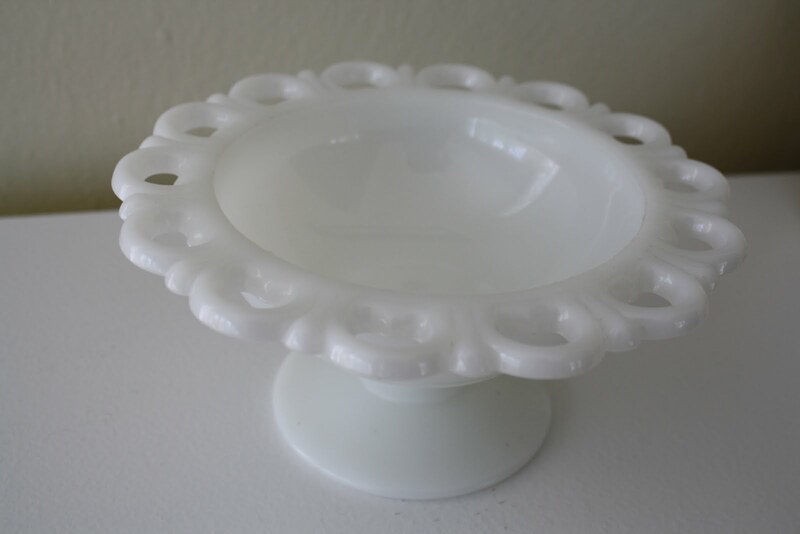 Next, I have this vintage milk glass bowl (I believe it was called a compote ). I have several of these myself in varying sizes and I just love them. That pretty little scalloped edge makes me smile. You could use this for anything really...a candle holder, a candy dish, or even put a bird's nest in it. I'm sure many of you have far better ideas for this than I do! So, there you have it--My Cottage Charm giveaway! That's all you have to do is leave me a comment on this post and I will pick a winner on May 29th. (US & Canada only please) If you become a follower, add another post letting me know this, and I will gladly give you a second entry. It's as easy as that! If you get a chance, head on over to Twice Remembered and check out all the other awesome giveaways. Especially like the pillow. I'm glad you decided to share! This is my first visit to your lovely blog via Twice Remembered but I'll be returning. I think the best think the best thing about the giveaway is discovering new blogs to read! The wonderful prizes are just icing on the cake. All of your items are wonderful but I especially like that pillow. If I win, I will send you pictures of it so you won't miss it much. HA! I invite you to stop by and enter my giveaways! What a charming gathering of gifts for your giveaway. The pillow captured me, tho. Great items, Gina! A girl after my own heart; I do that at Christmas ~ for every 2-3 gifts I buy for someone else, I buy one for myself! : ) I think you need to go back and buy one of those pillows for yourself. Your giveaway is so sweet! would love to win. Lovin your blog! Thanks for the chance to win your great giveaway. What a wonderful blog you have here. Please enter my name in your drawing. I love the pillow and the bookmarks. Everything is just great. Oh ~ I love, love!....I want, want! Please enter me. Those are some wonderful things you picked out for the giveaway. The pillow is just great (well, so is everything). I am follower #18 !!! Thanks so much for participating in the giveaway...and with such pretty things! You are very generous. Wow! You chose some awesome things. These things are so beautiful. Thanks for your generous giveaway. I know I really love something if I buy two! Great to find your lovely blog through this event. I'll be back to visit again and again! Fabulous giveaway! Count me in! Count me in again. I just became a follower! Your giveway prizes are too cute! Great goodies!! (smart to get one for yourself too! *smile*) Thanks for the chance to win! Oh what a sweet and very generous giveaway!! I am so glad I stopped by!! I am officially a follower as well!! What an awesome giveaway. You had me with the bird and the darling chalkboard. What a perfect color pallet. Neutral goes with everything. And that pillow is to die for. I can see why you would want to keep it. Your giveaway is lovely and I would love to be entered. This is the first time I have visited your blog and enjoyed going back a ways and reading older posts. I just became follower of your blog, it has been fun finding great blogs to follow through this giveaway. Come and visit soon I hope to join the giveaway soon. The pillow is adorable and the stay calm sign so cute. Thanks for this great giveaway and I would love for you to enter mine. I just became your newest follower! Please enter me in your giveaway! I love everything. Thanks so much!!!! Beautiful giveaway! I love the chalkboard and the adorable pillow! 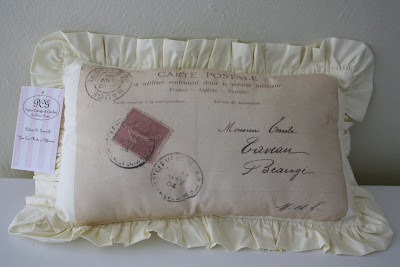 What a beautiful giveaway, I love the pillow! My favorite is the little bird! Thanks for the great giveaway! Oh my gosh! What a beautiful cottage giveaway! Please count me in...and thank you so much for offering this lovely giveaway, some lucky winner is going to be quite happy!! I LOVEEE everything!!! crossing my fingers! What a wonderful giveaway! I'm new to your blog. Great blog! Those are lovely giveaway items! Love all your choices. My living room is all shabby chic with white, blue and pink, a perfict fit don't you think? How sweet of you to share your goodies! What lovely items you've chosen to share. Oh, my, your gifts are lovely. i hope I win this giveaway! I LOVE ALL OF YOUR GIVEAWAY ITEMS!! I'm sorry, when I left the note about becoming a follower I forgot to leave my email address-sueo49quinn@yahoo.com Thanks for the chance to win. Im a new follower as well! That chalkboard is adorable! I also love the pillow :) Thanks for this giveaway. Hello sweet Gina - Thank you for the chance to win your lovely goodies! I heart milk glass! Fingers crossed. Hello sweet Gina - I'm a happy new follower of your fabulous blog! Thank you for another chance! Yay! Gina I love everything in your giveaway. Please enter me! What fun this is!! simple in color but beautiful in content! What sweet gifts! Lovely items in your giveaway-I've fallen for the little bird! I'm glad that I found your blog. I love everything that you have for your giveaway. So please enter me. Thank you! I'm loving this giveaway that pillow is to die for. I'm in. I'm a follower now looking forward to getting to know you. Such sweet things, please add my name. Thank you so much. What a lovely giveaway. That little bird is too cute. Please enter me. Thanks for your generosity. Gina, what a lovely giveaway! I'm your newest follower now too! I'd love to win and isn't it a blast finding all these new blogs!?? I'm having so much fun with it! OK...I just read to post another comment if you are a follower, so here's my 2nd comment! Teehee!! Oh my, I can't believe you are letting go of that darling little pillow. Well, if I am lucky enough to win, I want you to know it will come to a good home. :) What a generous giveaway. Thanks for the chance. I love the bird! Thanks for hosting the giveaway! And I am a follower of yours! I love your giveaway, especialy the pillow and little bird. So sorry you are having "not buying remorse" about the pillow. I have it often. Please enter me. I am now your newest follower. Can't wait to come back and visit. Oh, what a sweet and generous giveaway!! Just the neutral color palette that sooo many of us love. Please enter me ~ I adore that pillow and the chalkboard. The little birdie would be so welcome at our house as our last name is Bird!! Please stop by and enter my giveaway, too! I'm a follower now, too! Can't wait to get to know you better through your pretty blog! Your giveaway is fabulous! I have just become a follower too! 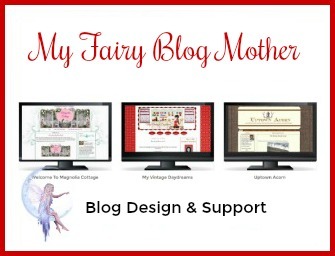 How wonderful to find all of these great new blogs... like yours! first, I love your personality and attitude that shines thru your writing, right up my alley! Second... LOVELY giveaway, truly!! and lastly *IF* I am the winner, you may keep the pillow for yourself! Be well, thanks for this opportunity! PS...if you turn off word verification, it is more inviting, and you can go to comment moderation which is easier on all, and still keeps out the spammers. What a lovely and generous giveaway. Thank you for the cahnce to win. Great giveaway. I hate to take your pillow away though. I am a follower now, too. What an adorable giveaway! Just love it! I am participating as well...check out my giveaway! i have that same little dish... and just love. love love love the bookmark! great lil giveaway miss gina! What giveaway goodness! Please put me in. This is such fun. I hope that you will come by and enter my GIVEAWAY too. Your gifts are beautiful but I have to say that the pillow made me swoon! I will keep my fingers crossed! I just became your 50th follower. Hope it's a lucky number! Lovely blog you have...I'll be back again! Great giveaway! Thanks for the fun! I just discovered your blog, I'm now a follower and what a lovely giveaway!!! I loooove that pillow! Adorable giveaway items...hope I win! I am now a happy follower too! OMG that pillow is fantastic, you are so kind and generous to share sure a wonderful gift with your readers at deprivation of yourself. What wonderful items for the giveaway. The pillow is adorable--thanks for offering it up. That is the sweetest thing, you giving away what you love so much! It's all in my taste and style! Thank you so much for the chance to win! May beautiful pillows come back to you 12 times over! thanks for the giveaway, everything is so fancy and lovely! I'd love to win! Oh my gosh, I LOVE every single treasure in your giveaway!!!!!! I'm so glad I found your blog!!! Please enter me into your giveaway!! My fingers are definitely crossed for this one!!! I just became a follower so please enter me in your AWESOME giveaway a second time!! Gina, I love everything, especially the pillow. Thanks for sharing. Count me in. Love your wonderful blog and the amazing giveaway. 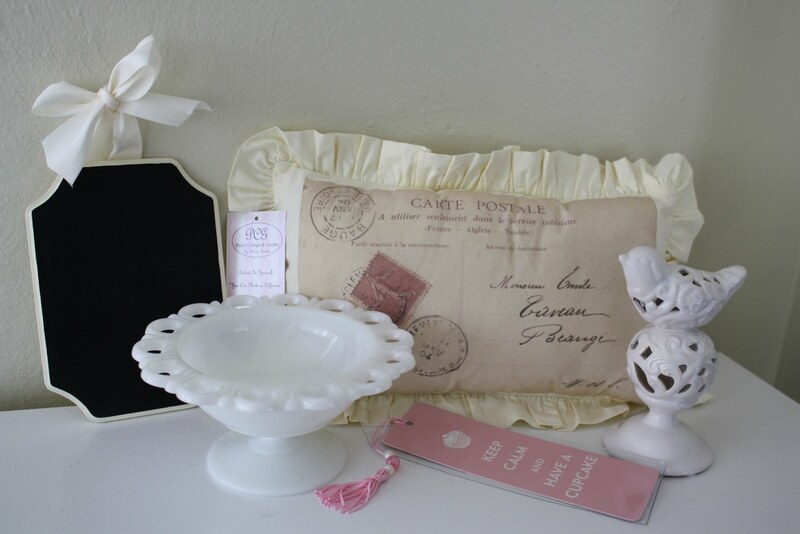 I would be thrilled to win that adorable pillow, glass compote and bird. I am now an official follower! I am so in love with all of those things!!! You and I must be sisters under the skin!!! We have exactly the same tastes - and buying habits!!! Thank you so much for the awesome giveaway!! I love love love the pillow. I do have a bit of a fetish for pretty pillows! I'm enjoying your blog as well! What a beautiful giveaway! I love each & every piece! The milk glass is very pretty. I always see those at thrift shops & always want some for my house! i am now a new follower too! i hope you'll swing by and visit me too! I love the pillow and milk glass the most! Also, I became a follower of your blog via Google Friend Connect! I found your blog through your giveaway, but I've obviously discovered someone with a very warm personality and great style. Thanks for the chance to win. And, of course, I became a follower. ..how do you say WOW ??.. 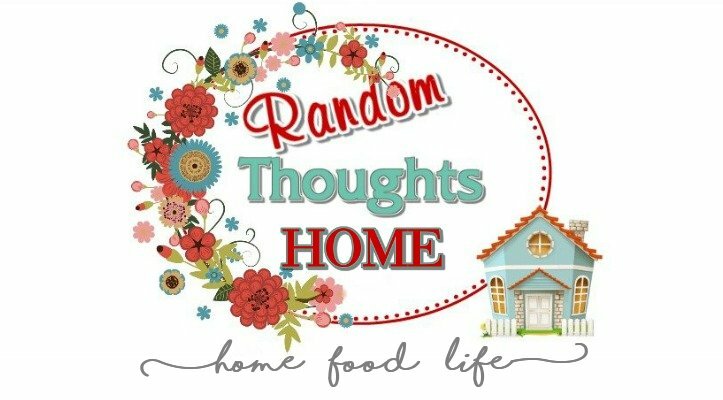 this is so ** blog-tastic ** Thanks for the opportunity..
What a delightful blog you have - and what a delightful giveaway you are offering (one of my faves!) Thank you so much for the chance to enter - I'm crossing my fingers on this one! I'm so looking forward to exploring your blog when I have a free moment - that's my favorite part of these giveaways, meeting Kindred Spirits along the way! I have signed up as a new follower and invite you to visit me at Create With Joy when you have a moment! I can't figure out which one i like the most, but I'd have to give the compote to my daughter. She LOVES milk glass. Thanks for the opportunity. 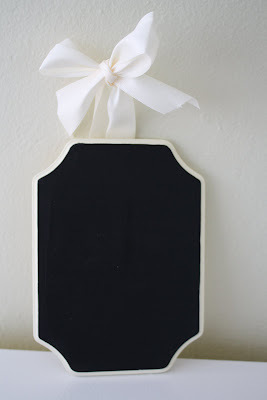 I absolutely love your give-away, especially the chalkboard. Thank you for the chance to be counted in. Hi Gina. Such pretty things your being generous with. Please include me in your giveaway. Have a fun Memorial Day Weekend! I'm also a new follower. I hope you'll stop by and visit sometime. I'm looking forward to becoming friends. I love the pillow, it looks like a postcard! how cute! 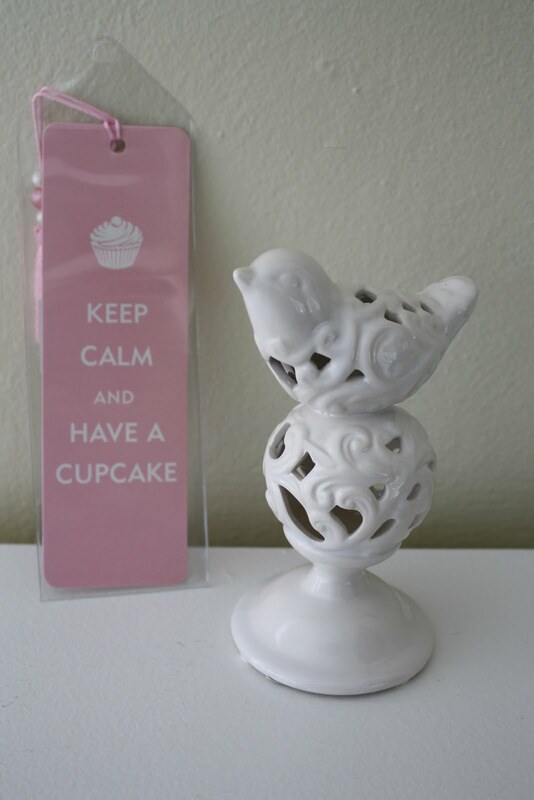 I adore the bookmark too, i've wanted one of those for a long time!